Welcome to paradise at Hidden Bay, a gated community west of trail in Osprey. 12 beautiful acres located on Little Sarasota Bay w/ waterfront access for kayaking & a 500yd boardwalk for fishing, fabulous sunsets, & soaking in the view. Have a dip in the completely remodeled pool & enjoy a drink at the tiki bar while grilling your favorite foods. Enjoy a game of tennis/pickleball, a workout in renovated fitness center, or relax in the clubhouse. Whatever you choose it will feel like vacation! This immaculate 2 bedroom 2 bathroom w/open den/office area & 1 car garage is conveniently located on the 1st floor w/ fabulous private view of the woods from your lanai & master bedroom. The lanai lives like an all weather room w/ two sets of sliders so you have the option of enjoying the outdoors or keeping it cool during warmer weather. 30k in Upgrades, New A/C, hurricane impact windows, Plantation shutters & auto honeycomb blinds at sliders, fresh paint, & crown molding. Full list available. The kitchen is the heart of this open floor-plan, & has a view through the living room to the very private tropical wooded area outside lanai. Master suite has been upgraded w/frosted maple hand-scraped laminate floors & ensuite bathroom has 2 walk in closets, shower & separate soaking tub. The guest suite has been upgraded with the same floors and has private access to guest bathroom. Cable/water/pest service included. Partially furnished and located near shopping, beaches, legacy trail, and all of the arts Sarasota offers. Kayak storage and kayak launch available on property access to Little Sarasota Bay $25 annually. Fishing pier on little Sarasota Bay. 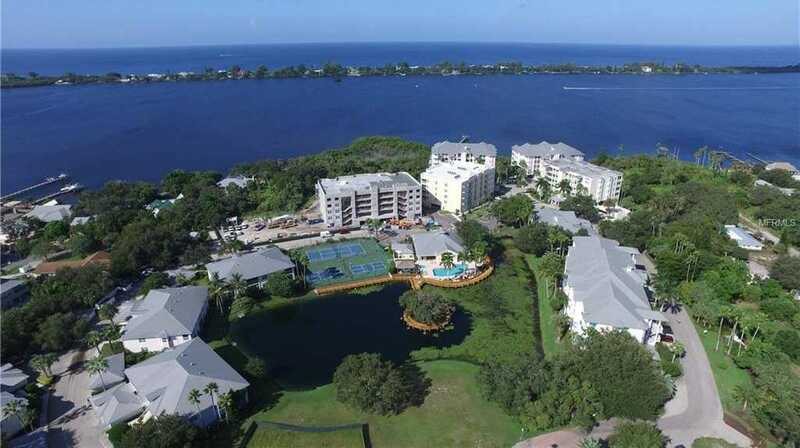 Please, send me more information on this property: MLS# A4415133 – $245,000 – 294 Hidden Bay Dr #102, Osprey, FL 34229.